FC Bayern München captain Philipp Lahm is on course to lift the Bundesliga title for a record fourth successive time in 2015/16. The first half of the 2015/16 Bundesliga season will go down in history. A whole host of records were smashed in one of the most spectacular Hinrunden of all time, and you voted FC Bayern München captain Philipp Lahm as your first-choice right-back. 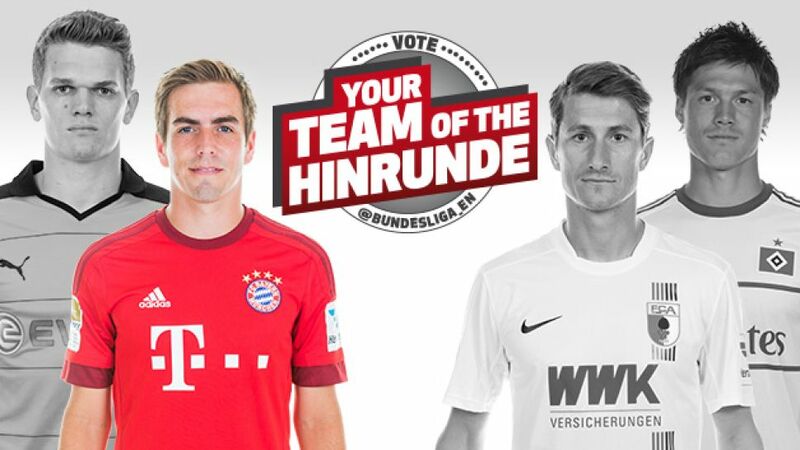 The 32-year-old won by a landslide on our @Bundesliga_EN user poll, scooping 6,701 of 11,358 votes, and also got the thumbs-up from @bundesliga_de voters, ahead of Borussia Dortmund's Matthias Ginter, FC Augsburg's Paul Verhaegh and Hamburger SV's Gotuku Sakai. Remember: The winner is the man who picks up the most votes from both the @Bundesliga_EN and @bundesliga_de polls combined.